A hydrophilic silica with a specific surface of 200 square meters per gram. 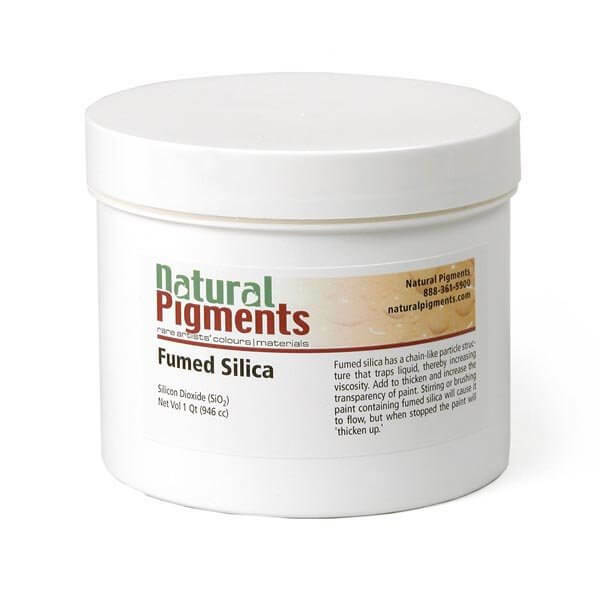 Fumed silica has a chain-like particle structure that bonds together to trap liquid, thereby increasing the viscosity. Add to thicken and increase the transparency of paint. Stirring or brushing paint containing fumed silica will cause it to flow, but when stopped, the paint will 'thicken up' again. This property is called ‘thixotropy’. WARNING: The product contains crystalline silica - quartz, which can cause silicosis (an occupational lung disease) and lung cancer.